Welcome to Episode #27! 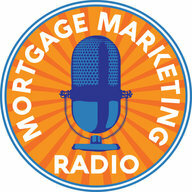 One of the things that I’m trying to do with this podcast is to bring effective tools and resources to the mortgage community. In this episode you’ll hear from Velma CRM. 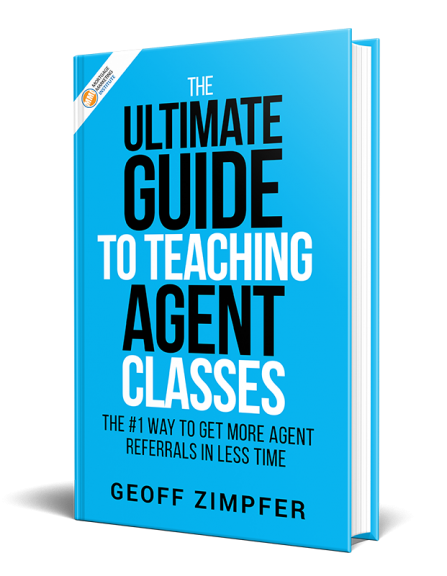 Whether you’re an individual loan officer, you’re in management or you’re senior executive, you probably have some kind of CRM. If you don’t – you definitely need to consider Velma. 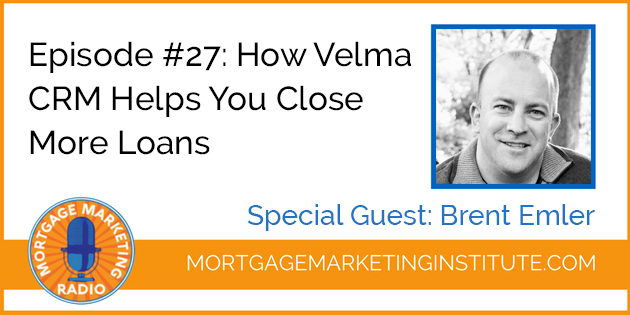 Our special guest for Mortgage Marketing Radio this week is Brent Emler, Director of Sales & Marketing at Velma.com. Velma does a lot of different things – Email Marketing, Print and Gift Marketing, Marketing Automation, Search Engine Marketing, Web Design. It offers Enterprise and Individual Accounts based on the needs of the client. How do you keep up with the multiple touch points during a clients journey? From first point of contact, to sharing relevant content, sending timely messages that drive engagement; there’s lots to keep track of. A CRM solution can automate much of the follow-up and messaging that drives your sales process and tracks engagement from prospect to client. There’s lots of CRM choices in the market today. Choosing the right CRM can make or break the adoption rate by Loan Officers. After all, a CRM doesn’t work if nobody uses it. Velma is a complete marketing solution that allows you to focus on what you do best. Originating loans. Research shows 80% of internet browsing is done on mobile devices. Velma was built using responsive design, meaning its designed with mobile in mind.